Light therapy specialist Lumie is introducing a new generation of sleep/wake lights with the launch of two Bodyclock products today. 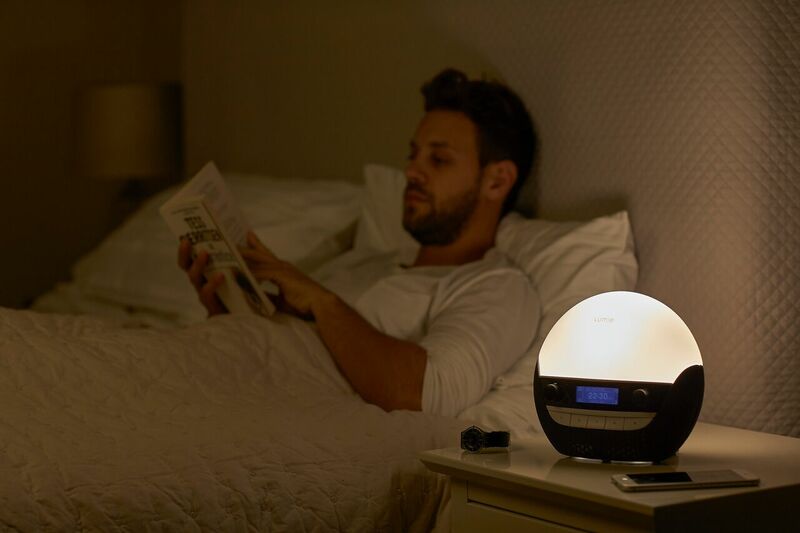 Lumie Bodyclock Spark 100 (RRP £75.00) offers the perfect introduction with the benefits of sleeping and waking with light. The essential Bodyclock functionality is the same with a sunrise and sunset of 30 minutes, but with the following new features: adjustable sunrise light intensity; nightlight; auto-dimming display; and tap-control snooze. Available now from John Lewis, amazon and Lumie. 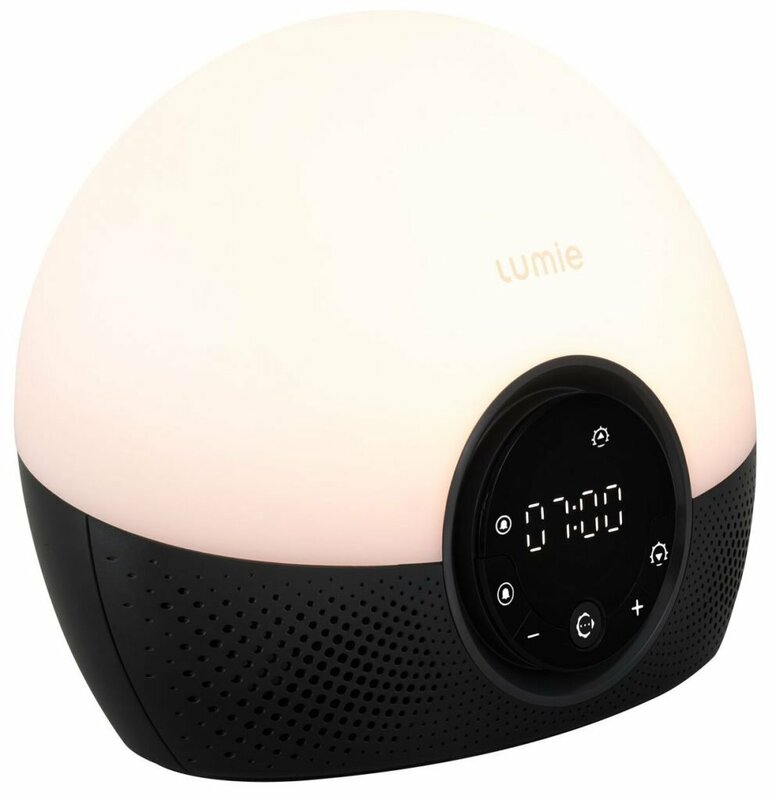 Lumie Bodyclock Glow 150 (RRP £90.00) offers the same functionality as Bodyclock Spark but with the option to adjust the sunrise and sunset duration to 20, 30, or 45 minutes; and a choice of nine sleep/wake sounds* including white noise. Initial launch is exclusively with John Lewis and Lumie. The nine sleep/wake sounds are: beep, tropical birds, blackbird, cafe, goats, steam train, thunderstorm, waves, crickets and white noise. The new products also reflect an upgraded design for the Bodyclock range that provides a sleek and stylish addition to the bedroom as well as delivering proven health benefits to the user. They simulate a real sunset and sunrise by closely mimicking their colours and using the dome to diffuse the light 360°. Both products, like the rest of the Bodyclock range, are Class I Medical Devices, which means they have been rigorously tested to European health and safety standards. 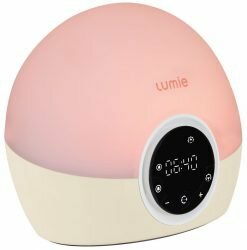 Lumie Bodyclock is a range of sleep/wake-up lights, alarm clocks that mimic a sunset to help you unwind at bedtime and a sunrise to wake you naturally with light. Waking up with light every day helps to keep your sleep/wake cycle on track and has been shown to lift your mood, energy and productivity levels. It has also been proven to alleviate the symptoms of winter blues and SAD. At bedtime, a fading sunset helps you naturally unwind by promoting the production of the sleep hormone, melatonin.